SAN ANGELO, TX-- The Texas Parks and Wildife's San Angelo District of Inland Fisheries stocked Twin Buttes Reservoir with more sharelunker bass on Tuesday. Approximately 8,000 fingerlings were released into the reservoir. The fingerling bass were the product of the 13.4-pound Legacy Lunker caught at Twin Buttes in March. It was the first time in over 28 years that the reservoir out by San Angelo Regional Airport-Mathis Field produced such a big fish. At the time of the catch, it was just the fourth Legacy Lunker entered into the TPWD's Toyota ShareLunker program. 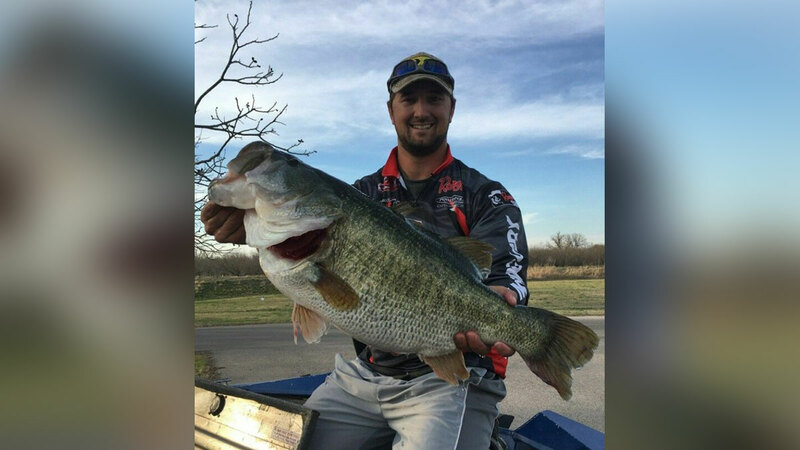 After Austin Terry's catch, the bass was sent to Texas Freshwater Fisheries Center in Athens, Tx. It was at the east Texas location where the 13.4-pound behemoth was tested to see if it was a true Florida largemouth. Turns out it was because it spawned the fingerlings which now reside in Twin Buttes. Terry received a catch kit for hauling in the largemouth and was also entered into a drawing for the grand prize shopping spree which totaled $5,000.